Fat Bike Skis are in production and shipping now! Embrace the snow for what it is. 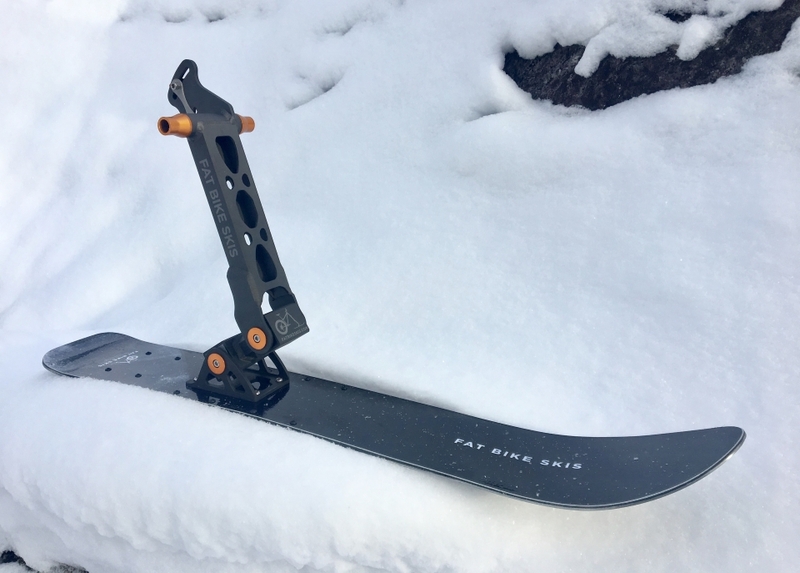 Our patented design eliminates the washouts and endos caused by your front wheel in snow, allowing you to maintain power and control in all snow conditions. Don't treat your snow like dirt. This is what you've been looking for! Want to hear about our future models? Ride in all snow conditions. 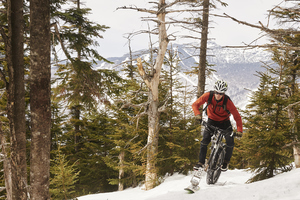 Crust, ruts, powder, groomers, slush, you name it, the Fat Bike Ski will handle it. Swap out your front wheel with the Fat Bike Ski and ride snow like you've only imagined. Honestly you'll probably sh(r)ed tears of joy when you lean your bike into a turn and feel the ski engage. This thing will have you ripping turns like Bode Miller, brah. Fat Bike Skis fit any modern fat bike or mountain bike fork. This means you can run your favorite mountain bike suspension fork or stick with your fat bike fork. Your call. Yeah, it'll fit yours, too. 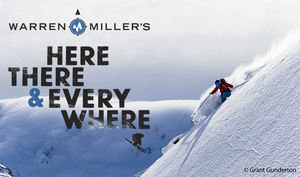 When the snow flies what will you be riding?